The Yankees need to shut the Rangers down quick. And they can do it. The Yankees match up well against the Rangers. The Rangers don’t play well on the road, only winning 39 games outside of Arlington, and must play games 3 4, and 5 in a very hostile Bronx environment, where the Yankees swept the Rangers this season (albeit in April). The 4 Yankee starters slated to start have a collective 2.06 ERA against the 2010 Rangers. 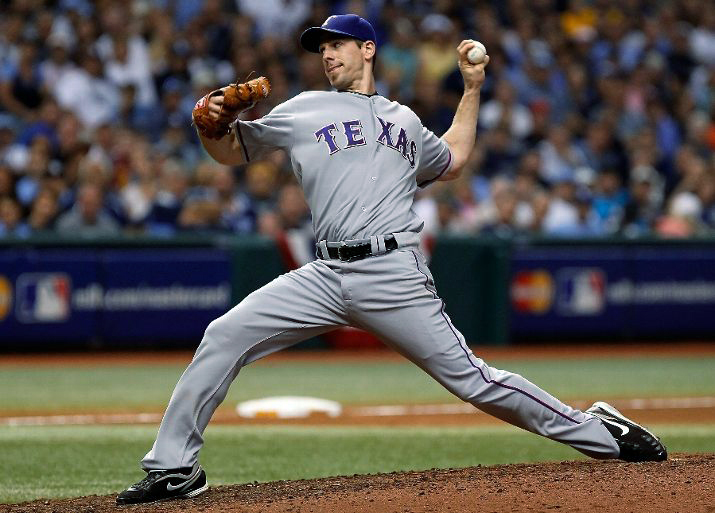 One thing, though…Cliff Lee is slated to pitch game 3 and 7. There can be no game 7. Lee is 6-0 with a 1.44 ERA in 7 postseason games. Against the Yankees the past 3 years, in 42.1 innings, he has a 2.57 ERA. This season, with 2 outs and RISP, batters hit .212 against Lee. Lee’s WHIP this season is 1.003, or put another way, 1st in the AL. And that includes pitching in one of the most hitter-friendly parks in the league. Lee is the key. The Yankees split the series with Texas this season, but they hit a little below average against the Rangers and the Yankees’ slugging was well below average against Texas. Considering that, would you really want to face Lee in Arlington in game 7? Forgetting Lee for a moment; the Yankees still have a ton of questions. Can Pettitte reach back and pitch like it’s 1999? Can Hughes duplicate his latest performance? Whither A.J. Burnett? What about the lineup, who only slugged .398 in September and October, 38 points below their average? And what about lefties, who batted only .216 in Arlington and slugged a pathetic .243 there? What about Texas’s brilliant bullpen, who’s top 5 relievers have a collective ERA of 2.50? What about the Rangers’s lineup who averaged an MLB-best .276 batting average? The good news is, that the Rangers batted only .251 against the Yankees this season, including just .181 in 3 games at the Stadium. Further good news; when the Rangers swept the Yankees in September, the pitchers they faced were Vasquez, Burnett and Mosely—the Rangers should only see one of them in this series. Burnett, scheduled to pitch game 4, actually has pretty good numbers against the Rangers this season. In 3 games, Burnett has a 2.50 ERA and 17 Ks in 18 IP. In his worst performance, the September outing, Burnett went 4 IP—not good—but had 6 Ks and gave up no HRs and 2 ER. Not the worst outing in the world. Still, it all comes back to Lee. Cliff Lee, who the Yankees will remember, won the only 2 games the Yankees lost in last year’s World Series. Who had a 2.81 ERA in that series, and who’s ERA was only that high because the Phillies didn’t trust their bullpen. Who’s postseason ERA is .081. Who gave up 2 runs in 16 IP to the Rays in the ALDS. Who’s at his best when the pressure is on? Or put it this way: This season, Texas starters not named Cliff Lee, had a 6.09 ERA against the Yankees. Only 2 of the 6 starts were quality starts. The Yankees can, should, and must end this series early. 6-0 in 7 post season starts...amazing. The prospect of facing Lee in a game 7 is terrifying. If they lose Game 1 they are in trouble.